Great for weddings and wine tasting parties. Cleanup is easy with these plastic wine glasses, and you don't have to worry about broken glass! 8 oz. 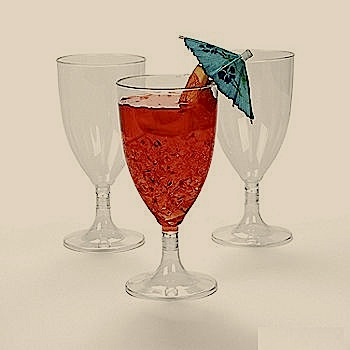 Each pack includes 25 disposable clear plastic wine glasses.